Welcome to Tom Miner Basin, the gateway to Paradise Valley! If you and your family, partner, or group want to stake out a spot away from the millions of tourists that visit Yellowstone National Park each year, this cabin is your ideal base camp for fun activities in southwest Montana and Yellowstone country! 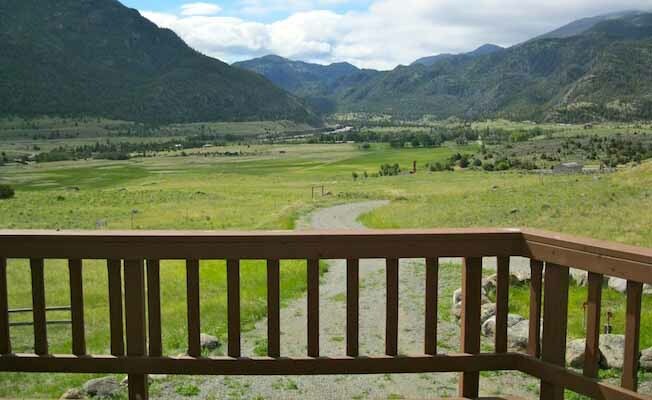 Located 18 miles from the north entrance to Yellowstone National Park, 1.25 hours from Bozeman International Airport, and a short walk to the Yellowstone River, this location combines seclusion with easy accessibility to main attractions. Kick your feet up on a patio chair and enjoy a panoramic view of the Absaroka Mountains, Yellowstone River, and Paradise Valley. Wildlife like deer, elk, antelope, and more can be spotted with a scope from the porch! Catch a fish from one of the numerous fishing access points and grill it up for supper. Take a hike to the top of Rams-Horn Peak and wind down with a soak in the hot tub underneath Montana's famous Big Sky. Enjoy eating inside with a fully stocked kitchen and play some games in the family room. Treat your pet(s) to their own space outside or let them politely hang out in the house. A private circle drive allows camper to turn around and provides ample parking. I was born and raised in Tom Miner Basin and have local tips, knowledge, and an extensive list of activities to conquer. I look forward to welcoming you to my stomping grounds and will be happy to help you plan a memorable vacation in Montana.